Financial professionals spend a lot of time bogged down by inefficient processes and dispersed data, rather than focusing on strategy. 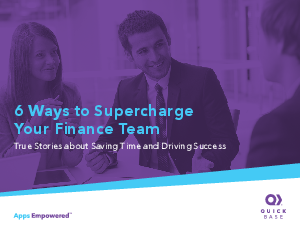 Find out how 6 people took the lead and transformed their day-to-day financial processes in manual accounting, FP&A, and procurement. Download this eBook to learn more and see how you can write your own success story.